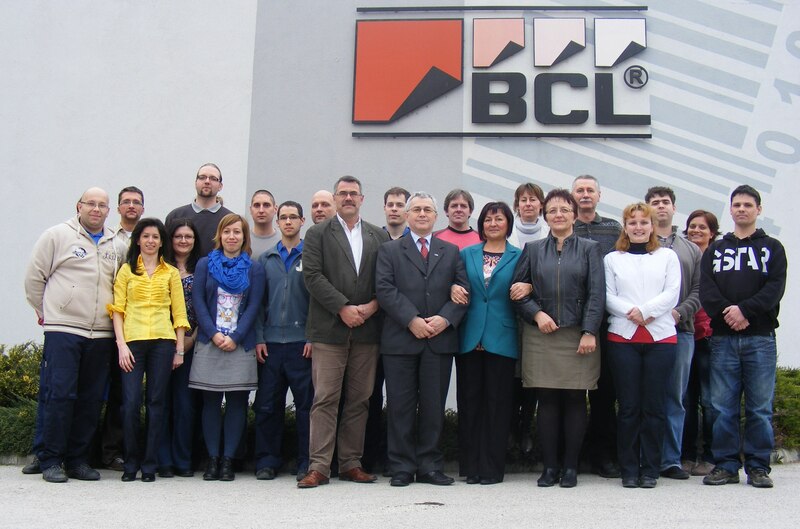 Foundation of Bar Code Label Ltd. in Székesfehérvár for the distribution of bar code label technical devices, labels and carbon ribbons. Purchasing of ROTOFLEX DSI-250 die-cutting machine, production of non-printed labels for barcode printers. Purchasing of FOCUS RD-250 one-colour pressing and die-cutting machine for the production of pre-pressed labels. Purchasing of supplementary machines: winding machine, cutting unit, folding unit, reel cutter unit. Own industrial site, 4000 m2 property, 600 m2 building in the Alba Industrial Zone. Purchasing of ROTOFLEX DLI-500 die-cutting machine for the production of non-printed labels, production width 500 mm. Quality Prize of Chamber of Commerce And Industry of Fejér County in category of medium-sized companies. Purchasing of GIDUE four coloured label pressing machine for the production of prepressed labels, production width 530 mm. Proof has been furnished that the requirements according to ISO 9001:2008 and ISO 14001:2004 are fulfilled. Expansion of our site in the Alba Industrial Zone +4000 m2 property, + 170 m2 building. Purchasing of the first digital label pressing machine in Hungary, HP Indigo ws4500 digital reelpressing machine, Omega Digicon die-cutting machine, production width 330 mm. Gyula Takács, printing house manager, awarded Hess András Prize. Bar Code Label celebrates 15th anniversary. Second proof has been furnished that the requirements according too ISO 9001:2008 and ISO 14001:2004 are fulfilled. CE 152 FE Hot stamping/Embossing/Die cutting machine and Laser die cutting unit suitable to produce self-adhesive labels. Working area: 150 x 150 mm. Erzsébet Csabai, project manager, awarded Hess András Prize. An audit was performed. Proof has been furnished that the requirements according to MSZ EN ISO 9001:2009 (ISO 9001:2008) and MSZ EN ISO 14001:2005 (ISO 14001:2004) are fulfilled.